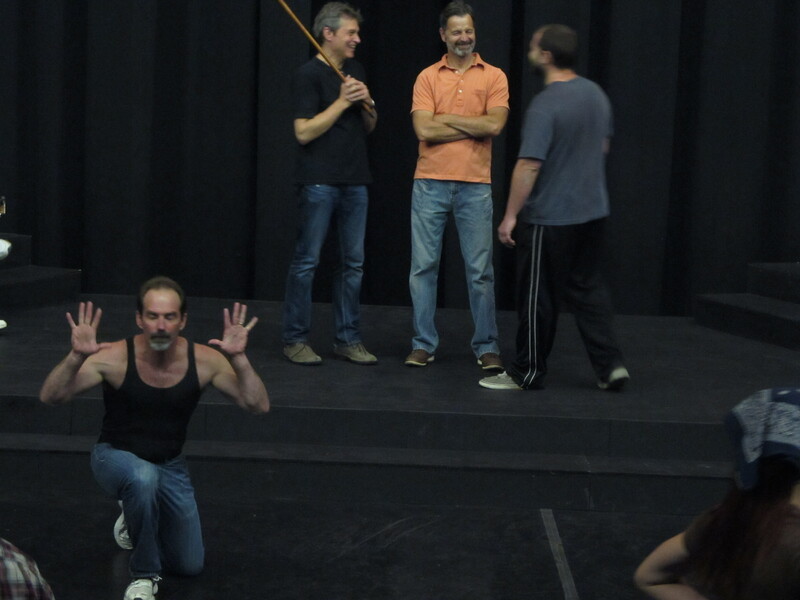 After giving the actors a final pointer, John Gardner moves across stage to get out of the way. But he doesn’t just walk; he leaps and twirls with the grace of a seasoned dancer. Gardner and his wife, Amanda McKerrow, worked together to choreograph the four dances in The Winter’s Tale. The couple met Joe McGrath, the Rogue Theatre’s artistic director, when he was Drosselmeyer in Ballet Tucson’s The Nutcracker. After becoming friends during their work at the Ballet, the pair saw a few shows at the Rogue. “We really love what they’re doing here,” Gardner said. 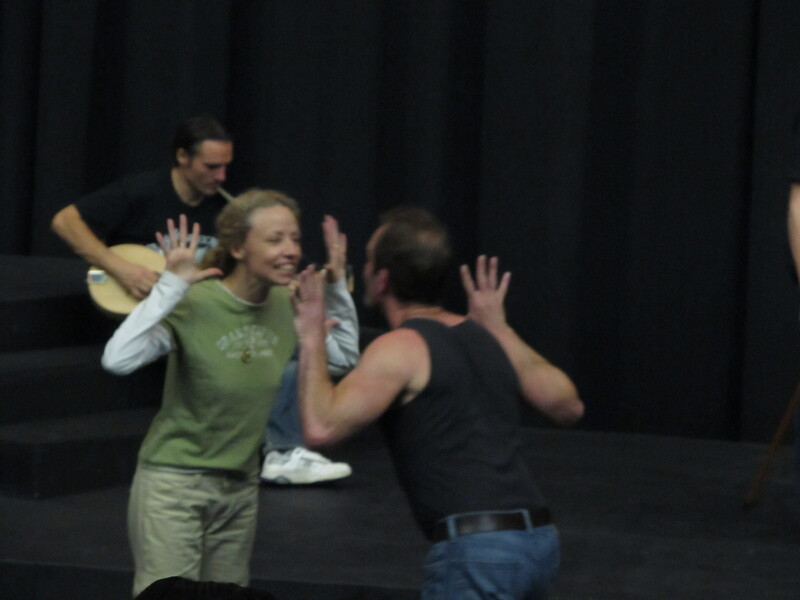 They’d been wanting to collaborate with McGrath for a while when finally, about a year ago, Cynthia Meier and McGrath asked them to choreograph for the theatre. They’d worked before with a lot of ballet companies and some operas, but never for a production like this. The first dance is set in Sicilia while the other three occur in Bohemia. This distinction is evident in the style of the dances. The most challenging aspect of this experience was the time. They had conflicting schedules and the fact that Gardner and McKerrow don’t live in Tucson only complicated matters. They were working against the deadline of an opening night. But the time factor wasn’t as significant as they’d feared. “They all take direction so well,” McKerrow said. Though they’ve devoted their whole careers to dance, McKerrow said she would still like to learn about the more vocally focused profession of acting. 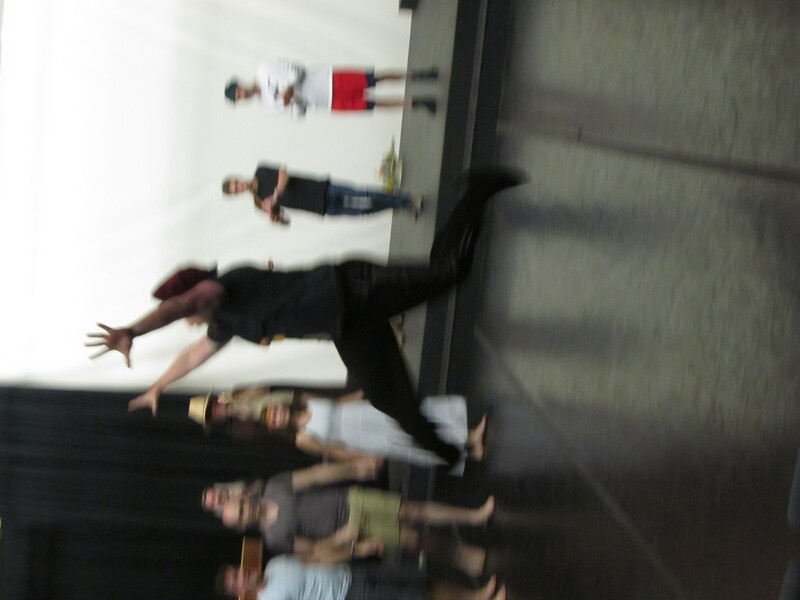 Matt Walley leaps across the stage during a dance in Bohemia.